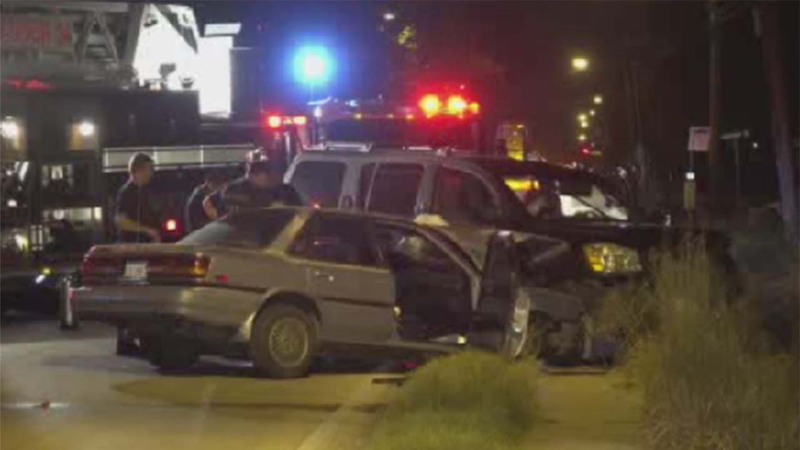 HOUSTON (KTRK) -- Houston police say a woman will face charges for driving her SUV into oncoming traffic in northeast Houston and hitting another car head-on, killing the driver. It happened just before midnight on Laura Koppe Road and Arkansas. Police say her vehicle crossed the center line, and hit the victim's car head-on. The driver in the car died. Police believe the driver of the SUV was drunk.